In conjunction with Merdeka and Malaysia Day, Englishjer Open House returns this Saturday 19 September to bring young people together in the spirit of relaxed fun and education. This year’s event will be held at the Axis Atrium rooftop in Ampang, where there will be several activities based on the theme “Great Malaysians”. In order to encourage young Malaysians to be comfortable with the English language, activities during the open house will be conducted in English. Throughout the day there will be exhibitions held by several youth initiatives such as ‘TikarBuku’ and ‘My Malaysia Wall’, who will be showcasing their work and experiences. ‘TikarBuku’ is EnglishJer’s initiative where donated books are collected and sold, the profits go to charitable or education-based organisations; and ‘My Malaysia Wall’ curates the penned hopes and aspirations of young Malaysians. Using the the Japanese presentation style of Pecha Kucha, musician Imran Ajmain, international debating pro Syed Saddiq and Poskod.MY’s own editor Ling Low will be among those sharing stories of their childhood, projects, and their hopes for Malaysia. EnglishJer will also be hosting a slam poetry session for beginners and awarding the top five winners of the Englishjer Malaysia Day Essay Writing Competition, who will then be invited to talk about their winning entries in greater detail. 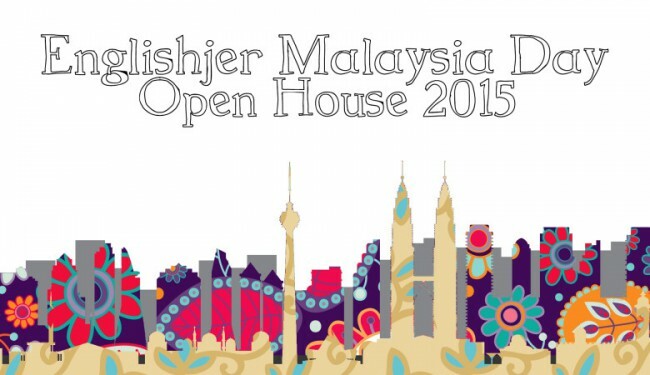 The Englishjer Open House runs from 12.30pm – 10pm on 19 September. Attendance is free and includes food and drink. RSVP here. Find out more about Englishjer here.